So what was the biggest fake news stinker of 2018? 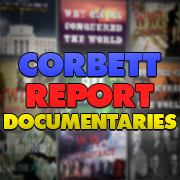 Corbett Report members are invited to log in and leave your nominations for worst fake news story of last year in the comments section below. The “sonic weapon,” as designed, implemented, owned and operated by Caribbean crickets is on the top of my list of fake news. every dollar cancels each other out. Referring to Skidmore, who actually tells the opposite. the Pentagon tries to explain away the disappearance of 21 Trillion dollars. I can’t think of a bigger fraud and faker story. This involves first the Pentagon, who make up FAKE numbers. And secondly the mainstream media, who make up FAKE stories. This is a criminal organization that somehow stole trillions of money from the US budget. And now you are asking them to come up with excuses of where all this money went. I want to second this nomination, and add this NYT hyperlink because it ups the “fakeness” by bringing Alexandria Ocasio-Cortez into the mix. How much better could it get? I agree, but the “fake news” angle is that there is no way to account for the missing trillions! I also nominate the Novichok-incident (Skripal). Contamination in Salisbury, very close to Porton Down, the chemical weapons lab of the British Army. Second this post, as it is the through-line through which all Russophobia moves. I vote for the story Government Bans Phrase Fake News linked above. This illustrates the line of reasoning, ‘If voting could change anything, they would make it illegal’. So when the House of Commons sugar coats the logic behind banning the phrase ‘Fake News’ by stating, ‘The phrase – a favourite of US President Donald Trump – will no longer appear in policy documents or official papers because it is “a poorly-defined and misleading term that conflates a variety of false information, from genuine error through to foreign interference in democratic processes’, you know that the chief propagandist are getting tripped up by their own propaganda. Lisa Genova was on tour pushing fake science on Alzheimers disease. The test was called Project Talent test. Funded by the U.S. government. No mention of fluoride, aluminum or heavy metal exposure or any environmental exposure, just if they scored low on the test they were prone to get Alzhemer’s and related dementia in their 60s and 70s. Bunkem fake news fake science. Occasionally among those I find some that I hope are fake (& occasionally everything seems like a complete circus). I would say that my most used compass in navigating these waters is: “this seems fair enough to me, for now (in the grand scheme of things)”, even if it is staged. Well, this isn’t a political story but as far as YouTube goes, it’s been an ENORMOUS STORY. So enormous that it’s going on, big time, even after six months and shows no signs of stopping whatsoever. I’m talking about the Chris Watts Family Murders. Many videos were made by people who didn’t just open their eyes yesterday, showing that this whole story is a hoax or a psyop. All of the videos were IMMEDIATELY taken down by YT. The supposed killer just so happened to work for Anadarko Petroleum, a fracking company with big pollution problems and which admitted to having employees involved in psyops in 2011. If you look up the name Chris Watts on YT, you’ll find literally THOUSANDS of videos about this supposed murder, which just so happens to code perfectly in both Gematria and Masonic numerology. My reason for nominating this particular story is that I’ve NEVER SEEN anything like this before. The amount of alleged information about this story is so enormous and so continuous and so obviously fake that it beats anything else out there. You may not choose it, but don’t laugh at it either. People are reporting day after day that they are “obsessed” with the story and can’t get it out of their minds. It’s got a stranglehold on many, many, people and that, in and of itself, is VERY dangerous!! Thanks very much for listening to this long nomination!! Russiagate! All and every fake news report out there that pushes this narrative. This, in my view, remains the greatest, most stupifying and lethal of all fake news today. The Holocene extinction is also known as the “sixth extinction”, as it is possibly the sixth mass extinct event, after the Ordovician–Silurian extinction events, the Late Devonian extinction, the Permian–Triassic extinction event, the Triassic–Jurassic extinction event, and the Cretaceous–Paleogene extinction event. Mass extinctions are characterized by the loss of at least 75% of species within a geologically short period of time. look to the sun for the answers to the changing climate now and past extinctions. this is what I finally realized last year: It is a war for our minds. a re-research into some 9/11 related topics, especially the ae911 aspect, around 9/11, made me realize. flat earth is similar frightening or even “russiagate” for that matter. what can be achieved by simply enough propaganda over and over again. these are some concerning real-society experiments with frightening results. concerning 9/11, as so few people have watched it. end of August 2018 on the David Chandler channel of ae911 a playlist was released on the Pentagon evidence. absolutely worthwhile to those which are interested. I definitely had to log-in for this. One other member mentioned it actually already! It clearly was not the biggest news world-wide but for me it was the biggest highlight without a shadow of a doubt! Claas Relotius and his invented fake news stories. End of 2018. It was the biggest press scandal in Germany since decades, probably since the “Hitler diaries” (Stern). RELOTIUS mainly wrote for DER SPIEGEL but also some articles for other big German newspapers. It went on for years and entails dozens of articles which are invented stories! (And not just some minor stuff put about important topics – more than perfectly aligning with mainstream agenda/sentiment.) And funnily enough the NZZ (big swiss news paper) already canceled stories with him in 2014 (wrote six pieces from 2012-2014 and after one blew, the latest was more than thoroughly proofed and then also regarded as fake and he was rejected onwards). He also won multiple awards in Germany and was basically a celebrated “journalist”. Internationally it only broke because CNN was also involved in one situatiion. I will write an answer comment to this and search for some of the best. Apart from one correction about a story on medium, English versions may be hard to find (apart from laughable English SPIEGEL excuses which probably exist, as they have a big English online presence as well). […] articles about Iraqi children kidnapped by the Islamic State, a Guantánamo Bay inmate, and Syrian orphans from Aleppo who ended up as child slaves in Turkey. Relotius has been accused of embezzling donations intended for Syrian orphans he claimed to have met in Turkey. Relotius appealed to readers for donations to be paid into his personal bank account. Also at the start of the “refugee crisis” in 2015, it was accompanied by an invented story of a Syrian refugee who found 1000 Euros and brought this money to the police. For people who understand German, I’d recommend nzz or heise articles. Invented stories concerning a Norway prison, an NGO in Albania, about Castro and on and on and on. I nominate the 2018 IPCC report on global warming for the award ! Not only is this massive fake news, but it is still brought up by news every week, across the world. Best regards from Switzerland, Cheers ! Sorry to go off topic, but rushing out the door I didn’t know where else to drop this. It seems that Spain got a new minister “Minister of Ecological Transition” Teresa Ribera, who succeeds Alvaro Nadal (Energy) and Isabel Garcia (Environment). So, in the wake of the vote of no confidence that crashed the former government, the Socialists took over and merged energy and environment into one Ecological Transition. It sends chills down my spine and reminds me a lot of the Democrats’ attempts to seize power in the US and impose their Green New Deal over the heads of people. I wasn’t to keen on the former government, I’m not too keen on any government, but these green NWO rats that are appearing everywhere I like least of all of it! Sibel Edmonds’ bizarre attack on Vanessa Beeley and Eva Bartlett. While not mainstream media, it hit me much more personally than any mainstream stories. It was a source I had relied on outside of the mainstream and she completely obliterated its credibility and put under question her work done in the past. At least now I do more of my own research, as James always advises. Thank you to James for your methodical rebuttal of Edmonds’ claims. Alex Jones is fake. Some say he’s alt. There was news about it. Infiltration from the highest order. Since it’s topical, I will suggest the MAGA hat-wearing kid(s) and the Native American confrontational ‘smirkgate’, which is clearly being pushed by leftist mainstream media with an anti-white, anti-Trump, anti-conservative agenda. Also, the willful misrepresentation of Ruth B. Ginsburg’s health status by the (same) media. I’m sure there is much fake news being reported in msm regarding the Yellow Vest protests in France and elsewhere, too. Look forward to reviewing the other comments so far, and to getting the highlights on this next Friday for the winners reveal. Follow up: Will Brock get a best editor award? 1. I think the anti-Assad propaganda still takes the cake. I’ll go with the Douma ‘attack’ specifically. 2. The poisoning of Sergei and Yulia Skripal. I almost had to make this my first choice since it’s such a perfect example of highly-coordinated fake news. 3. I know many Corbett Report viewers don’t like to talk about fake news stories which make Trump look like anything besides another deliberately inserted complicit puppet president, but the extremely widespread, ever-present MSM campaign to connect Trump to Russia and demonize both simultaneously has to be, at the very least, in the running. 4. Exaggerating/fabricating measles ‘outbreaks’. They were busted in one case. The ‘outbreaks’ were used to prop up Marcon’s largely unpopular mandatory vaccines. 5. Another ramping up of the climate change scare. Specifically the natural disaster shaming in which every hurricane, flood and firestorm is our fault because we didn’t beg loud enough for more agenda 21/2030 regulations. 6. The mail ‘bombs’ event makes the list because it was a complete non-story (the ‘bombs’ were laughably non-functional) that was given enormous MSM coverage for political effect. I’m sure there’s something significant I’m forgetting to list. Wish I had James’ incredible memory. I don’t think the idea of Trump being a 100% complicit controlled puppet president whilst simultaneously being the victim of untrue propaganda is mutually exclusive. If the goal of the elite criminals is to divide and conquer, making both true at the same time works well for them. axen.m, good point! I suppose Skidmore is glade the message got killed instead of the possibility of him joining the 49 Naval forensics accountants at the Pentegon when they were only looking for 2.3 trillion$. axen, thanks for the link. Great candidate for #1 fake news. We all should be pissed. The best FAKE news of 208 was “OPERATION HOGG WASH” the FAKE drill shooting at the Florida High School, where they blamed Cruz for the shootings, when in fact he wore normal school clothes, he chickened out and hit the fire alarm instead. The REAL shooters at that school, were wearing bullet proof vests, helmets, military garb, etc and there were 2 shooters, NOT Cruz the pasty. Coward county FL, where the rogue FB rule with Israel sheriff with the big ears, stand down guy, who let the children get shoot at. The HOGG family are now out of the lime light and their gun grab quest FAILED miserably for them all who planned this FAKE shinanaghens. COULD THE GUARDIAN BECOME BACK TO BACK FAKE NEWS CHAMPS??? Note: These are all fake. So many excellent suggestions! Each and every comment, I’m nodding my head. Definitely the Skripal case. A particularly salacious event that I suspect was manufactured hate to further divide we the people was the Kavanaugh/Ford spectacle. Skripals. Part of the bigger Brexit picture and shows how a side-issue distracts from the main one. People accept utter nonsense because they can’t distinguish truth from lies. I was surprised at how sloppy the whole thing was- Rob Slane itemises (in Lance’s post) most the weaknesses for anyone who looks at it; BUT hardly anybody seems to notice anymore & that is really worrying for the future. Nomination for Dino award in the Generalissimo-Francisco-Franco-is-still-dead category: the Russian hacking/collusion fake news story that won’t die. However, for fake news from the alt-world, the ongoing Q-Anon hope-hoax has to be at the top of the list. My Nomination for Dino Award is https://www.theguardian.com/uk-news/2018/mar/26/four-eu-states-set-to-expel-russian-diplomats-over-skripal-attack. Of all the Anti-Russian PR, Skripal Poisonings kept the headlines despite lack of evidence. “Repeat a lie often enough and it will believed” continues to be propagated onto a gullible and dumbed down audience. TV has been installed near the elevators of business complexes, shopping-malls and food courts, among other venues, as people subconsciously imbibe their daily nourishment of Fake News, 24/7, while they compete with others to confidently spew their ‘ice-breaker memes’. A constructive-discussion is near-impossible with these ‘programmed-robots’. Take note of their ‘glassy, hypnotized look’, particularly noticeable among news-anchors, university-graduates and corporate-recruits etc. The movie ‘The Circle’ says it all while few manage to outsmart the system. I nominate the California “wildfires”. Look at any random picture and you see homes razed to the ground, cars with the rims melted onto the pavement surrounded by pine trees with nary a singed needle. Calling the events “wildfires” is as fake as it gets. This attack was more insidious than 9-11 and needs to be investigated. It’s the enigma wrapped in an enema/er…enigma all over again. Faking the faking. Dogging the dog, all over again. Ruh roh. That’s this year’s news. Damn, disqualified on a technicality! James, you point out the weoponization of social media,it seema, all the time. Well it looks to me that corporate media is is play the same game of hide the salami. So I recast my vote for ‘The Corporate Media Weaopnization of Fake News’. First, I’d like to introduce and invite you to https://www.saidit.net/ – an uncensored Reddit-like site with a lean against corruption (which is a normie way to say it’s full of truthers, conspirophiles, NWO, collusion, US-Israel, true crime, etc etc etc). Speaking for myself, assuming they’ll concur, I welcome everyone to join SAIDIT.NET. There are A LOT of Corbett fans there. The founder of SaidIt, “magnora7”, has been on The Higherside Chats and Tin Foil Hat podcasts twice each. He’d be honoured to appear on TCR (by voice only I think). I’d be thrilled. Infogalactic is another uncensored resource. 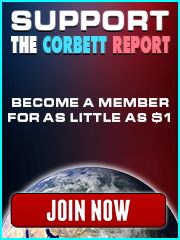 It was because of the (long outdated) article on https://infogalactic.com/info/James_Corbett_(journalist) that was linked by the “Prop-Or-Not” list that the Washington Post referenced a few years back – and for that Corbett kindly gifted me a membership. That JC article also, in part, got be banned from Wikipedia for a year for being “another polite truther”, forcing me to discover Infogalactic. I’d also be thrilled if JC joined SaidIt too. Unless someone beats me to it I intend to start a TCR sub soon for folks to post and discuss all things TCR. I will repost all their submission here too. I think it is just a non important component. Chips like this are usually amplifiers or protections against voltage spikes. The article is written technically but with no actual real content. It does not really tell anything about the chip. They only make claims and talk about how bad it is. This means that it is written by a CIA/NSA insider as propaganda. 1. It is much easier to put undetectable backdoors and such in the bios. Your phone and the apps have backdoors already that you don’t know of. 2. The chip only has 6 ports. To modify memory you need 32 or more. So it should be a low speed USB-stick like thing. Which has well a defined interface. Something which is easy to get all information out. It would be very easy to tell if it was connected as USB. No report showed that. 3. I have not seen any video explaining the ins and outs of that chip, while I can find it for almost every other component. Even the backdoor-instructions of the Intel chips. 4. There are tiny processors added to the Intel that we can not detect without a electron microscope. These are likely components for backdoors. There are people scanning such chips as a hobby. Did not see a scan of this chip. If I was sincerely interested in this chip, I would have done a full scan and published it. 5. All technical companies who have the technical capabilities, denied that this chip did anything bad. It should be easy for them to check it, as they have all the equipment. Much easier than checking the Intel for backdoors. 6. The US was starting a trade-war against China. This perfectly fits in as propaganda. It also failed, because technical companies did not support it. Now they use the trade with Iran as a way to block China. Mos def all good points. I saw one years ago about hidden parts of chips on thumbdrives. Well I’m in Ireland and for me the biggest load of BS among heaps of it last year has to be the event just across the water in Britain concerning the Skripals. There are so many crazy strands to this story it is a classic. The PM Theresa May announced the chemical used and who did it (Russia) within 2 hours of it happening even though the British police claimed not to have a clue several weeks later. The Skripals themselves and the policeman who was apparently affected by the “novichok” have not been heard of for months. Porton Down, the major chemical warfare installation in the world, is just 8 miles down the road from where the “event” happened. Britain claimed that no country other than Russia had any knowledge about novichok even though it was the United States who removed Russia’s stockpile. A leading British scientist specialising in chemical contamination who had called the science in the Skripal affair nonsense was arrested and detained under an obscure act of 1873 without ever being told why. He believes it was a threat to shut him up. According to a member of the House of Lords a “D” notice has been placed on this story so it can’t be investigated or talked about by the MSM. Not one scrap of proof of any of it has ever been produced. I could go on but space prohibits. How about a theme to fake you out: learned helplessness. I see this as part of why the Big Deep Brother (hereafter xxBDBxx) pushes the “climate catastrophe” button with such zeal. It’s the kind of thing which people kinda have to say, “The xxBDBxx’s too big, the xxBDBxx’s too strong” and just throw in the towel in the game of resistance. But even more insidious, I think, is what’s done in education with “no child left behind” and “race to the top” and standardized testing, now coupled with no basic skills instruction at the community colleges in California…troupled with something they’re calling, “Guided Pathways.” You want to find the quickest path to indentured servitude? Simply follow the lighted aisles to the exit…oops! Sorry, no parachute after all! For more on the Climate Change scam you might want to check into the Trudeau scandal described in this YouTube video (yes, I’m making you go through SaidIt because I’m hoping you’ll explore it and perhaps join). Also, please make some kind of reference to an armed Chicken Little holding your children’s future hostage if you don’t pay up for Climate Change. Also also, Fake News: the untimely demise of James T. Corbett, captain of this fair TCR enterprise. Also also also, Fake News: Seth Rich is alive after giving birth to Big Foot’s baby. They’re all doing well. So I’ve heard. The Steele Dossier created by former head of Russian Desk at British Intelligence MI6: Christoper Steele (not to be confused with Steely Dan accusation against Trump) or also known as : The Russian Collusion with Donald Trump, which also alleges the Russia sought to damage Democratic candidate Hillary Clinton. Support for this allegations by former FBI director James Comey (CIA planted special position created by Congress just the year prior). These allegations were focused on a movement to create a coup d’etate or secret plan (definition of conspiracy) to try and impeach 45th president elect Donald Trump and in place try and replace with either VP Mike Pense or worse “madame” killary.. I mean Hillary Rothschild.. I meant Rodham Controller I meant Clinton. Award should be presented to BuzzFeed and Huffington Post CEO Jonah Peretti. While also it was a great effort on many parts. Let’s not leave out there support, backed and propagated by Reuter’s owned >>> CNN specifically <<< in alliance with NBC, ABC & CBS News in America ( with supporting work from all others in alliance Reuter’s news internationally i.e. BBC) and the fake entertainment American programs like Ellen, The View and all the late night shows with Jimmy Kimmel and all the other late night mainstream brainwashing fake comedian fake news shows. When it was a setup from the start through a private firm called Fusion GPS. While even dictator I meant direct leader Vladimir Putin alleged Hillary Clinton of taking a massive, somewhat I believe 800 million, donation from Russian diplomats; while she still hasn’t denied these claims. So, whether BuzzFeed or Reuter’s ran full force with it these reporting is the fake news and the person who should represent and receive the award should be CEO of BuzzFeed the head editor in chief and every SINGLE news reporting paid “press” agent (anchor, prompt reader, parroting puppet and muppets) that had the time to sit there in front of the world and fill the minds of the world with these lies. Rather than those who quit and I believe there were a dozen of reports who did quit over this last year and a half just from refusing to read or denying these allegations. Let me just state transparency here : I’m an American living in Paris former Oregonian native Portlander, whose lived in Australia (family in both USA & AUSA govt.) and lived / worked New Zealand over course of 3 years (hearing the world laugh, joke and try dealing with all these garbage being peddled by USA “News” fake propaganda). So, I’ve seen many international point of views and the world still thinks to this day Trump is a Russian puppet and Hillary Clinton was the rightful candidate… when really they are all the wrong candidates. You do not see the right people American in politics, otherwise they wouldn’t last a day in District of Criminals formerly known as Washington D.C. . In my opinion the swamp is all the political leaders and oligarchs underneath what you want to call your reality. Think of all the creatures lurking deeper than those who come to surface… Twenty Million Legions I meant Leagues under the sea (pun intended). Please feel free to sub my channel if you like what you read. Merci beaucoup,muchas gracias, dōmo arrigattōgozaimashita and thank you very much for my one vote that I meant a lot to me to write out. Thanks James and Community, Peace. So it is no problem when it is fake, as long it is in line with our morals/ politics. are starting some legal procedures. …There are signs of growing pressure in the industry. …BuzzFeed has been through other painful rounds of layoffs. Great Fake News Award ceremony. I wonder if James Corbett was fully suited or just waist up?